A new ‘happiness model’ of living will reduce environmental degradation and overconsumption to help save the planet, claims a new book. As a consumer-driven society breaks down, happiness will prevail, writes Thomas Friedman. You really do have to wonder whether a few years from now we’ll look back at the first decade of the 21st century – when food and energy prices soared, world population surged, tornadoes ploughed through cities, floods and droughts set records, populations were displaced and governments were threatened by the confluence of it all – and ask ourselves: what were we thinking? How did we not panic when the evidence was so obvious that we’d crossed some growth/climate/natural-resource/population redlines all at once? 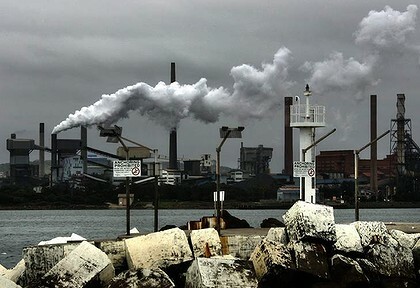 ”The only answer can be denial,” argues Paul Gilding, the veteran Australian environmentalist-entrepreneur, who described this moment in a new book called The Great Disruption: Why the Climate Crisis Will Bring on the End of Shopping and the Birth of a New World. Gilding cites the work of the Global Footprint Network, an alliance of scientists which calculates how many ”planet Earths” we need to sustain our growth rates. GFN says we are growing at a rate that is using up the Earth’s resources far faster than they can be sustainably replenished, so we are eating into the future. While in Yemen last year, I saw a tanker delivering water in the capital, Sanaa. Sanaa could be the first big city in the world to run out of water within a decade. That is what happens when one generation in one country lives at 150 per cent of sustainable capacity. ”If you cut down more trees than you grow, you run out of trees,” writes Gilding. ”If you put additional nitrogen into a water system, you change the type and quantity of life that water can support. If you thicken the Earth’s CO2 blanket, the Earth gets warmer. It is also current affairs. ”In China’s thousands of years of civilisation, the conflict between humankind and nature has never been as serious as it is today,” China’s Environment Minister, Zhou Shengxian, said recently. We will not change systems, without a crisis, but we’re getting there. We’re caught in two loops: One is that population growth and global warming together are pushing up food prices – rising prices cause political instability in the Middle East, which leads to higher oil prices, higher food prices, and more instability. At the same time, improved productivity means fewer people are needed to produce more stuff. If we want to have more jobs, we need more factories. More factories making more stuff make more global warming, and that is where the two loops meet. As the impact of the imminent Great Disruption hits us, Gilding says, ”our response will be proportionally dramatic, mobilising as we do in war. We will change at a scale and speed we can barely imagine today, completely transforming our economy in just a few short decades.” We will realise, he predicts, that the consumer-driven growth model is broken and we have to move to a more happiness-driven model, based on people working less and owning less.